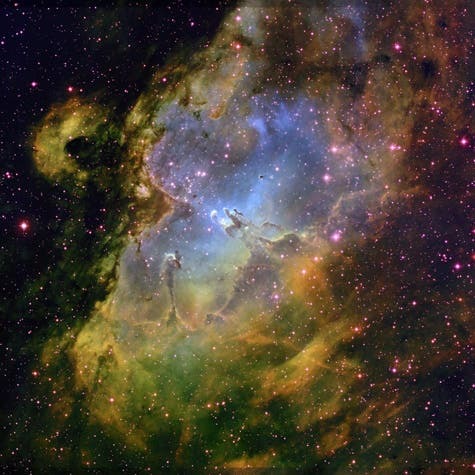 Physicists Freeman Dyson has said that it appears as though the Universe was anticipating our existence. A recent discovery seems to support his observation: In 2011, astronomers discovered that organic compounds of unexpected complexity exist throughout the Universe, suggesting that complex organic compounds are not the sole domain of life but can be made naturally by stars. 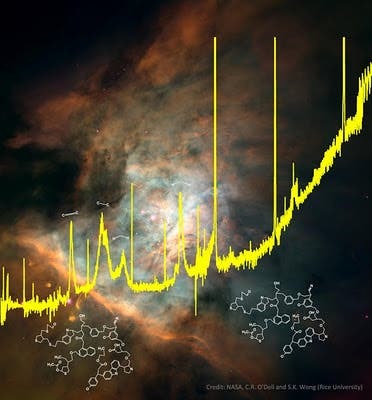 The discovery suggests that complex organic compounds can be synthesized in space even when no life forms are present. The prevailing model for planetary accretion, also called fractal assembly, and dating back as far as the 18th century, assumes that the Solar System’s planets grew as small grains colliding chaotically, coalescing into bigger ones, colliding yet more until they formed planetesimals. The planetesimals then collided until they formed planets as varied as the Earth and Jupiter. 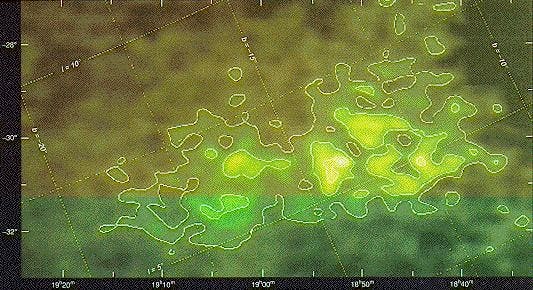 The model assumes that this occurred in an extremely hot (as high as 1,600 degrees Celsius) environment for the inner Solar System, fostered by a dusty, two-dimensional disk post-dating the Sun. 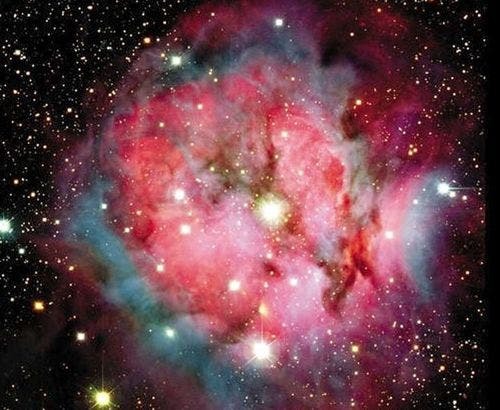 The breathtakingly beautiful Cocoon Nebula is located about 4,000 light years away toward the constellation of Cygnus. Hidden inside the Cocoon is a newly developing open cluster of stars dominated by a massive star in the center of the above image that opened a hole in an existing molecular cloud through which much of the glowing material flows. The same star, which formed about 100,000 years ago, provides the energy source for much of the emitted and reflected light from this nebula. "We will listen for the interstellar drums, but we will miss the interstellar cables. We are likely to receive our first messages from the drummers of the neighboring galactic valleys – from civilizations only somewhat in our future. The civilizations vastly more advanced than we, will be, for a long time, remote both in distance and in accessibility. At a future time of vigorous interstellar radio traffic, the very advanced civilizations may be, for us, still insubstantial legends." – Carl Sagan, "The Cosmic Connection"
I'm a little cynical about the human race's "advanceness" (look at the stupid things we're still doing), but when you consider that we really only became modern men within the last 10,000ish years, we're not doing to bad. There's a lot of inertia in social development, so despite the highest aspirations of our most educated and/or ethical members, we're not going to achieve global peace and total prosperity in the next decade. Anyway, we're on the line between barbarism and godhood right now. We may be able to analyze the probability of other races being more or less advanced than us.